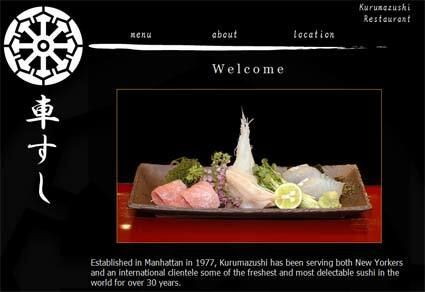 Kurumazushi is one of New York City's premier sushi establishments. Operating since 1977, Kurumazushi is well known among sushi aficionados as one the finest places to experience traditional Japanese sushi outside of its birthplace in Tokyo. I built Kurumazushi using cakePHP for its flexibility and extensibility. The clients wanted something up quickly, but also wanted to refine and extend their site in the future. With full reign on this project, I was responsible for all the coding, design, and photography. The clients wanted something of a minimalist site, so as to focus attention directly on the quality of their product.